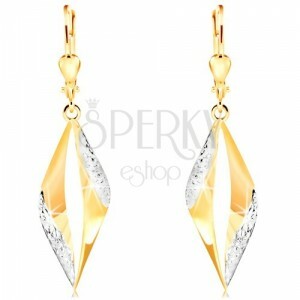 Earrings in combined 14K gold, big grain contour decorated with white gold and tiny protruding flowers. 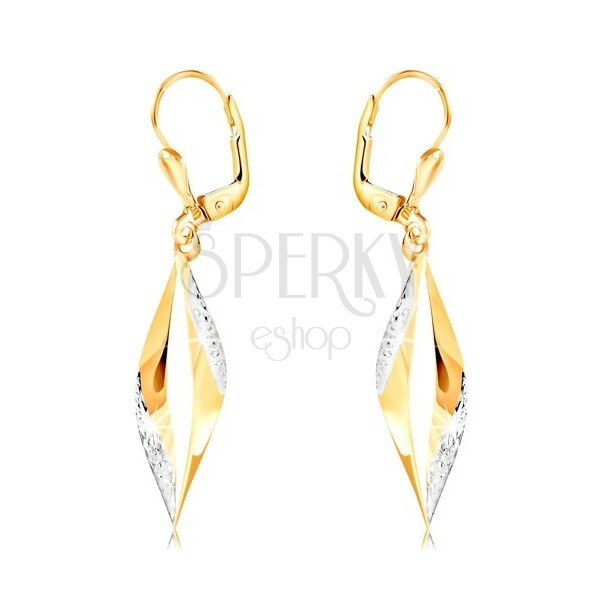 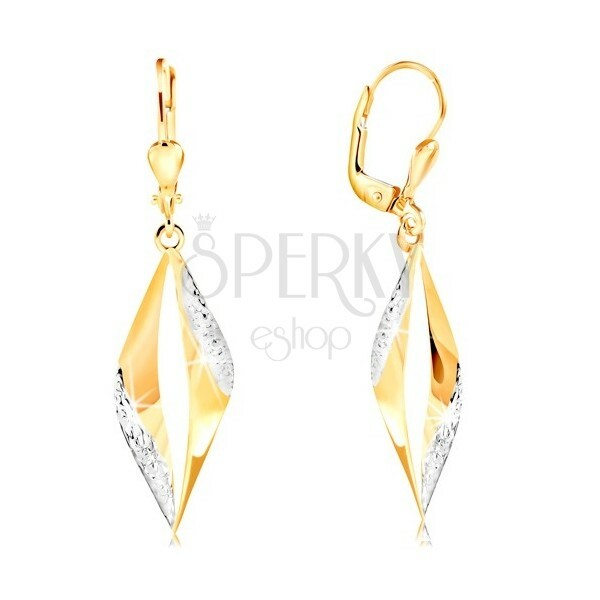 Earrings made of 14K gold have the shape of a big curved grain with thin vertical cut in the middle. 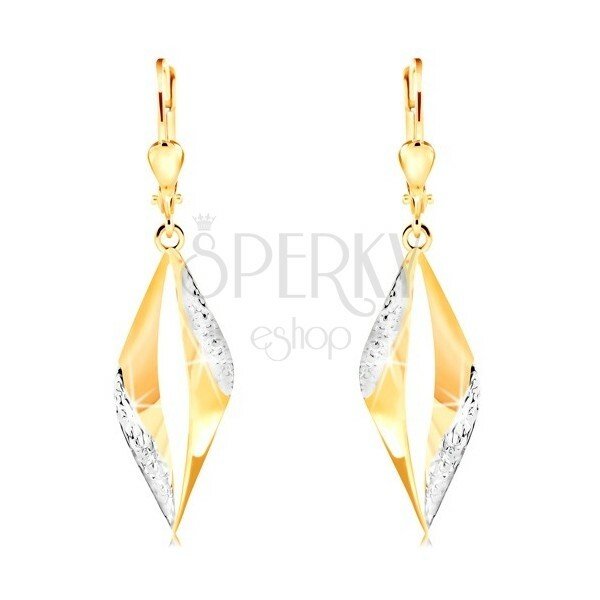 From both sides the grain is decorated with lines of white gold with tiny protruding flowers. 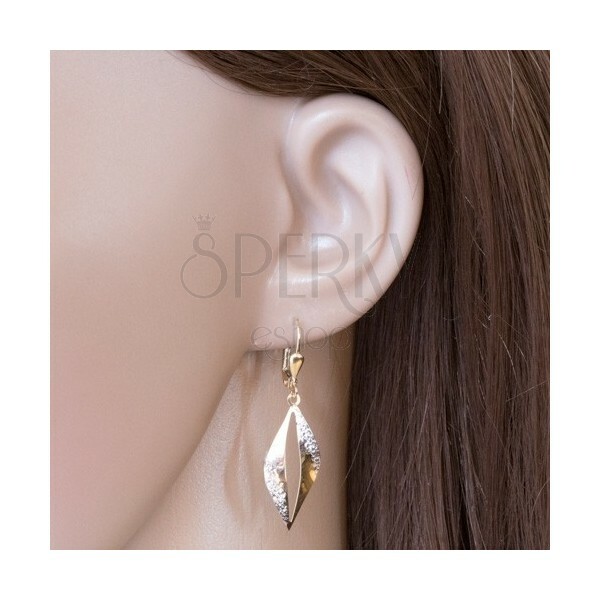 The earrings have lever back fastening with a small reversed drop.